The amazing-looking Articulate Clutch just closed for funding on Kickstarter, having raised six times its $10,000 goal. 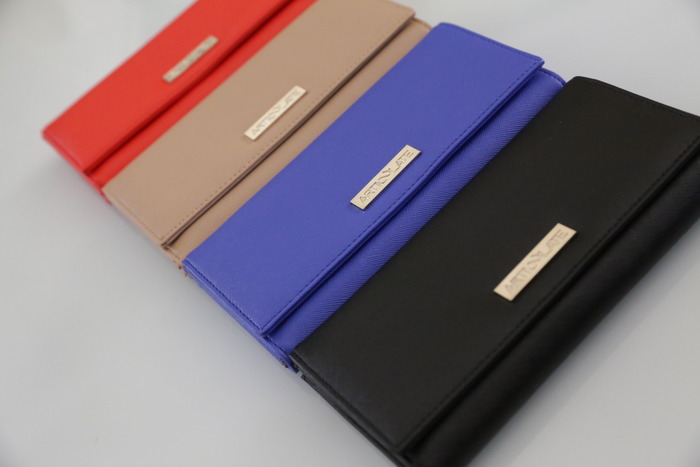 Not surprising given that in addition to being a classy, colourful little bag to take out with you, it comes with some pretty smart features for protecting your money. 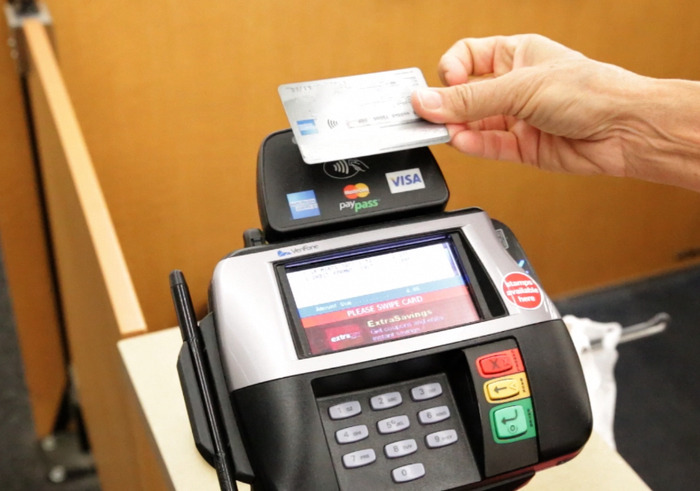 The main one is RFID-blocking, which is becoming popular with the rise of contactless card payments. RFID (radio frequency identification) is used by tap-to-pay services, and while it’s pretty handy for buying your latte without having to put in your PIN, it’s also susceptible to fraudsters walking around with RFID readers. It hasn’t been a huge problem yet, but in theory, some trickster with a reader could walk past and nick your card details without even touching you. The Articulate Clutch, like several security-conscious (but less beautiful) wallets we’ve seen, blocks all RFID signals from the cards inside. That means you won’t be able to do the cool thing of tapping your clutch on the Oyster reader to touch in, but you also might not get robbed. Swings and roundabouts. 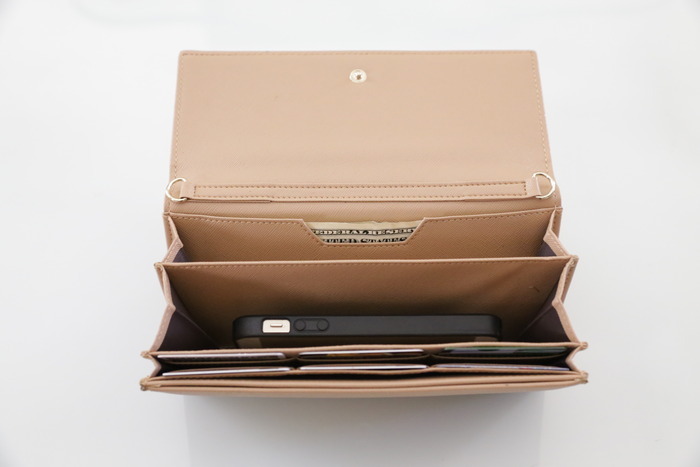 Articulate have also had a think about making their clutch a really useful wallet. 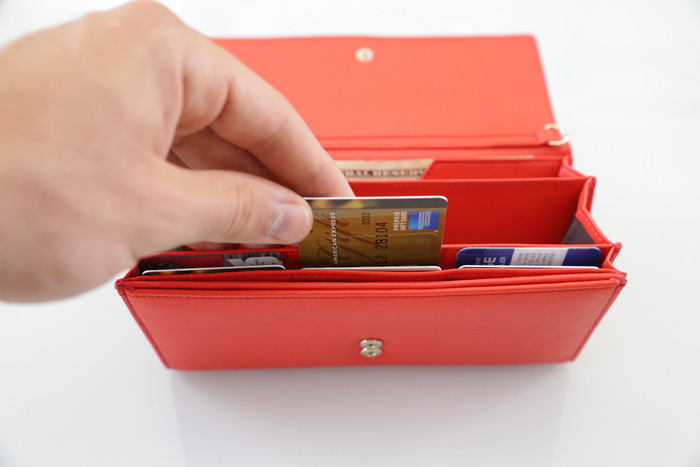 The card slots are vertical rather than horizontal, making it easier to slide out your card, and the note slots accommodate all currency sizes (including Queen-sized UK banknotes). It’s even got a smartphone slot, designed to fit “most all” (eh?) phones. We haven’t got our hands on one yet, so we haven’t tested this against the Phablet of Doom that CEO Ashley’s been carting around recently, but we’re guessing iPhone 6 Plus users are probably out of luck. Still, a clutch big enough for that phone isn’t really a clutch. At the time of closing, the Articulate Clutch Kickstarter still had plenty of preorder slots available, so we’re hoping it’ll pop up soon on Articulate’s website. At just $42 (about £27), it’s a bargain even without the extra brains.